Our goal is to raise the general level of awareness concerning our collective responsibility toward the Earth, through the promotion of a healthy way of life. The University of Biodiversity would set up school trips tailored to the needs of Education Nationale. Biodiversity classes will also be provided (on a paying basis), at the university by our teaching staff. Biodiversity will be fitted to the type of audience (teachers, seniors, kids, …). Benefits from these classes will finance an free skill-developing e-learning program designed for schooling aged youngsters from the developing countries. (Africa would be the first to benefit from it). Local teachers would assist this e- project. 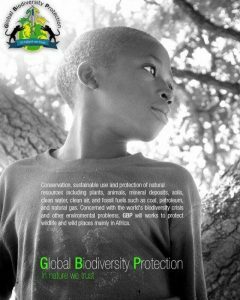 The purpose of G B Protection University consists in promoting the teachings of biodiversity awareness, environment sensitivity, and sustainable development. The contribution to a culture of eco-citizenship will be conveyed through the enhancement of the resources of our natural heritage and focusing on wise eco-initiatives in our urban environment. 3) Educational and cultural time-off activities. 6) Enhancement of natural sites. 7) Designing of teaching tools. 8) Raising availability of and access to resources. environmental problems: water, waste, types of energy, CO2 emissions due to means of transportation, air and noise pollution, clean food chain. mankind’s surroundings: landscapes, natural heritage, getting the right balance between all types of life forms living within a territory, environment management, promoting eco-citizenship. raising awareness about respecting the Earth as our common good and promoting solidarity between human beings and their environment. teaching eco-citizenship, i.e. developing the level of involvement and of the sense of responsibility of eco-citizens. developing sense of criticism so as to get independent-thinking and emancipated individuals, educated under the principles of laic education of listening and mutual respect. Teaching ‘choice-making’skills rather than ‘teaching choices’. setting priorities in education by keeping a eye on the needs on what goes on in ‘the real world’. developing team skills in order to sharpen debating skills and creativity. active/’hands on’ pedagogy: teaching is based on pooling and collecting of representations, the acquisition of skills through methods meeting the students’ needs, checking and evaluating the acquisition of knowledge and level of involvement of students through practical projects . traditional classroom teaching will be limited to explaining instructions or working on the synthesis of a project. acquiring knowledge, skills, and mastering the evolution of behaviors. forming active eco-citizens acting within the frame of their environment. Knowledge is acquired and passed on through practical eco-actions. integration of the education syllabus within the course of the ongoing scientific debate. global actions encompassing whole, multidisciplinary, team with team approaches will be favored in order for participants to grasp eco-complexity. This university will set up a lively website (online conferences, tutorials, movies), in French and English. This debating platform will be a meeting place for both scientists and interested laymen. We would like this discussion platform to be open to all caring associations, who if they wish to do so, would include us in their ‘our friends’ sections. Our goal is to get rapid internet recognition. An established website will give a strong basis to the credibility of the association and will be useful as a donation collection tool. Developing the website is therefore our main priority. Benefits from the university will be used to finance the association and a structure in Africa, which will work along the same lines, but on a free basis for the African population. The impact to be on the general population in Africa will be very useful for biodiversity plays a key part in economic development and strengthening the local means of traditional way of life. Biodiversity also plays a big part in the protection of wildlife and African flora in order to adapt with as less damage as possible to the effects of global warming. Beyond its most direct beneficial effects, biodiversity plays an important (though less visible) part in providing the basic conditions to mankind’s living and formal/ informal economic activities.